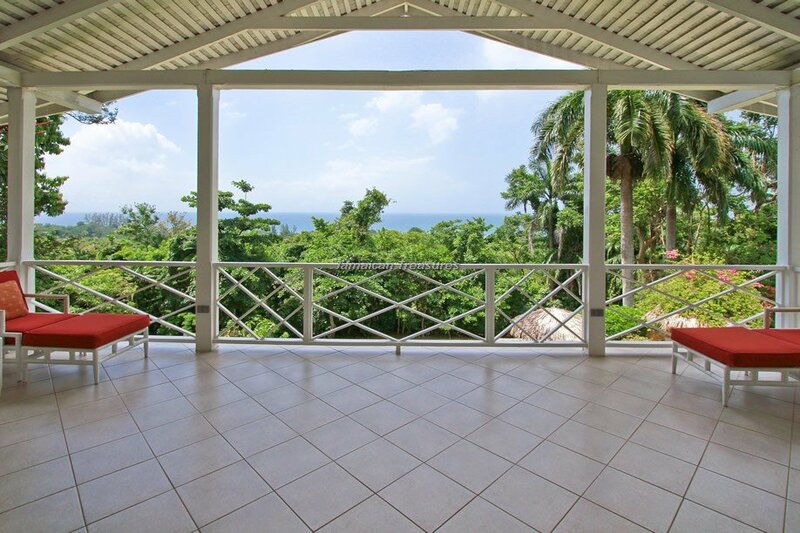 3 bedroom villa, with exclusive Tryall Resort Membership. 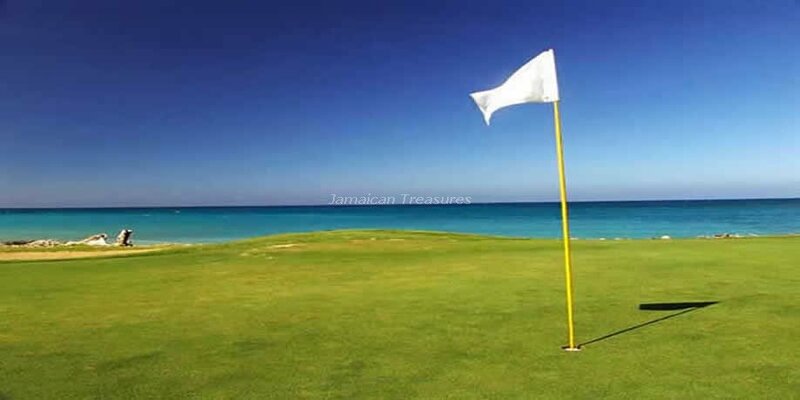 Only 3 minutes golf cart ride to the white sandy beach of Tryall! 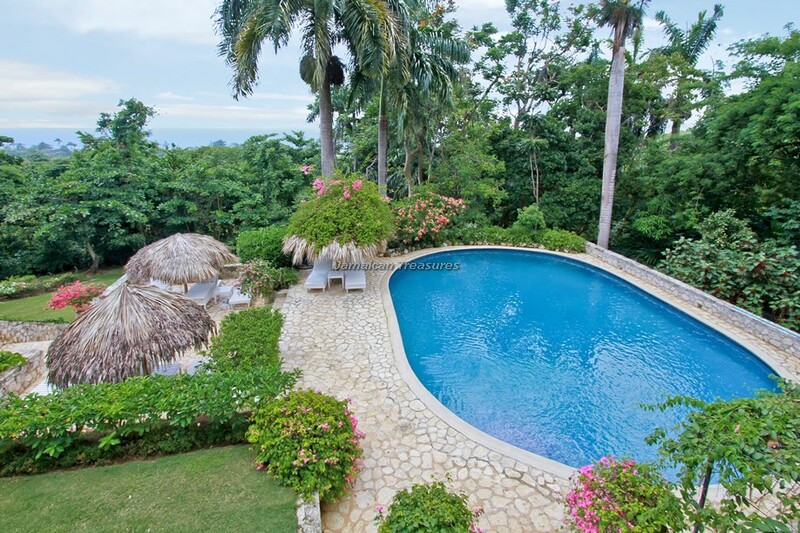 Serenity Villa sits on a hillside in the renowned Tryall Club Resort, near the Montego Bay area. 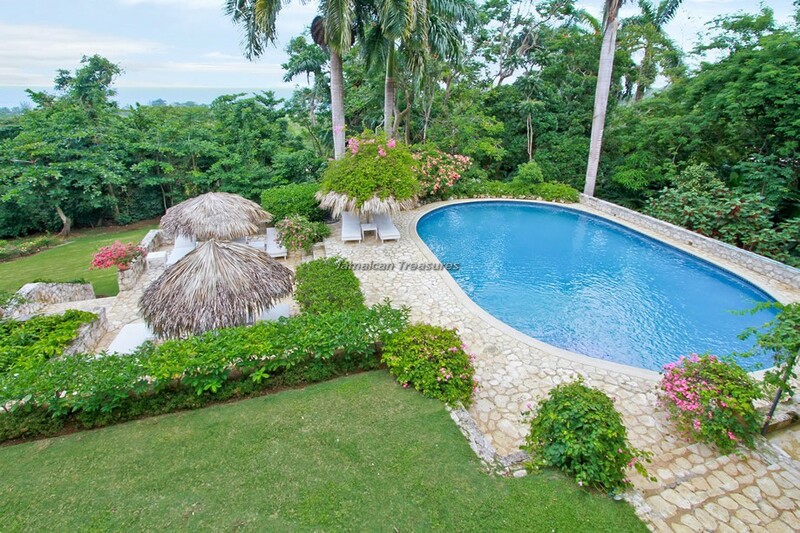 The villa offers picturesque views of the surrounding landscapes including the Caribbean Sea and the beautifully landscaped gardens with vibrant tropical flowers. 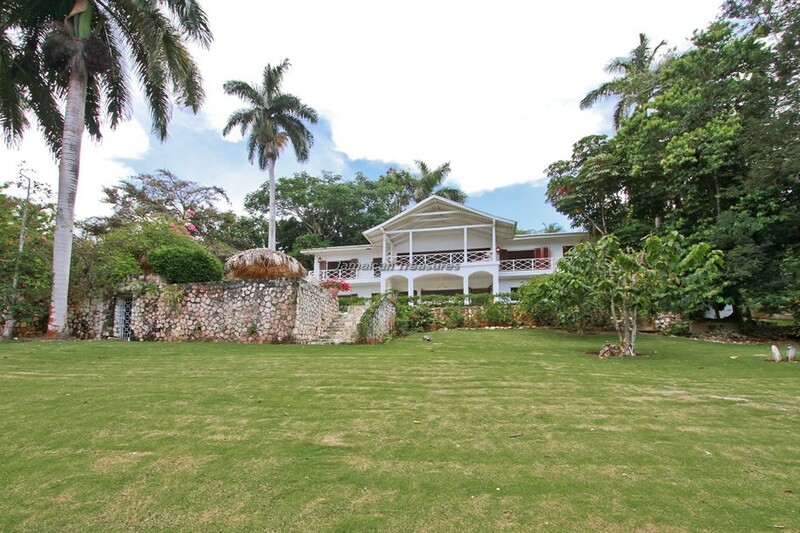 A cobbled stone driveway leads to the villa’s front. 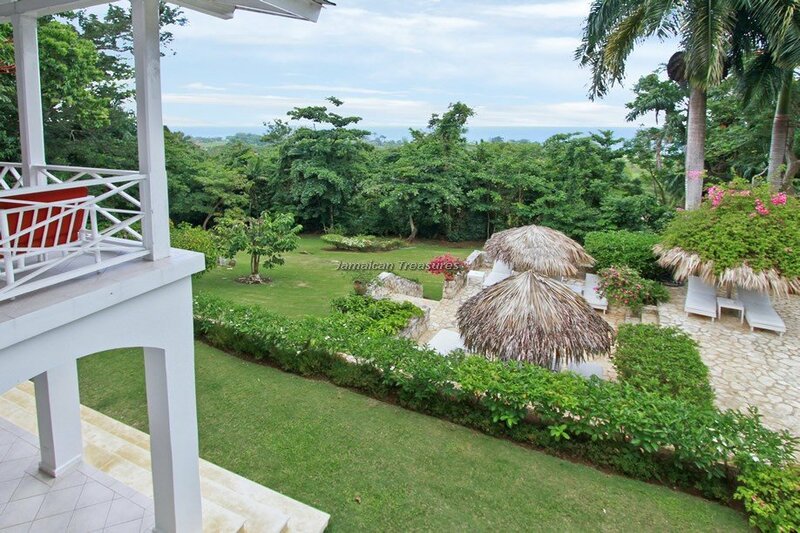 Several celebrities including a world renowned Australian golfer stayed at this amazing luxury villa Jamaica, while enjoying the golf facilities at Tryall. 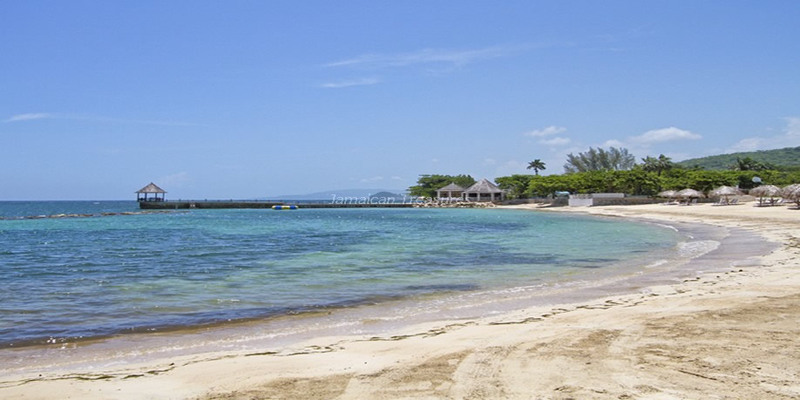 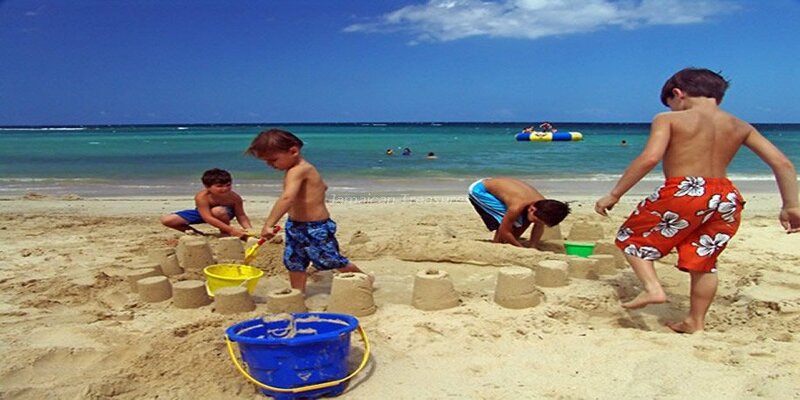 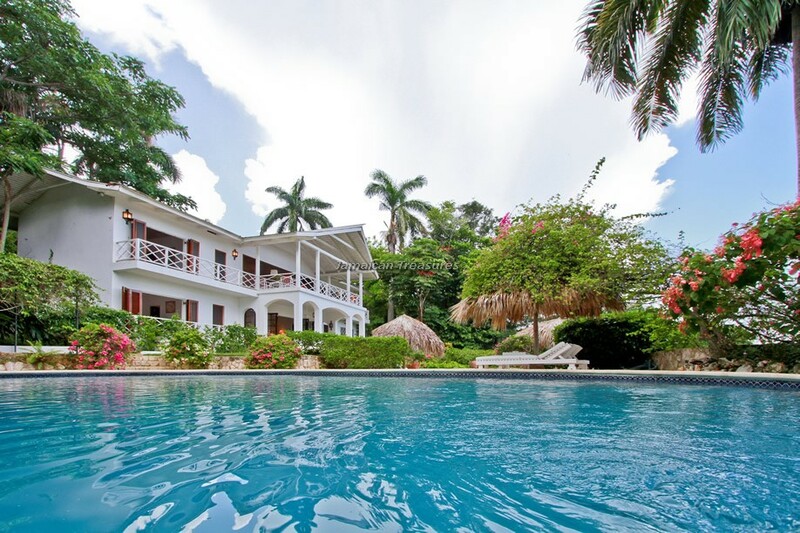 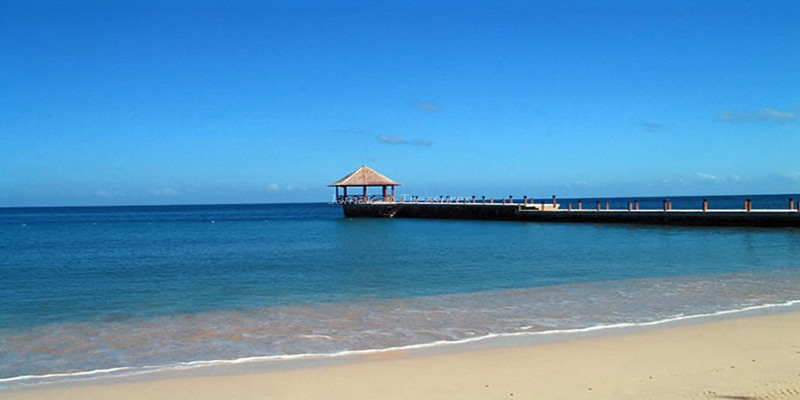 Serenity Villa has several features that make this one of the most charming villas in Jamaica. 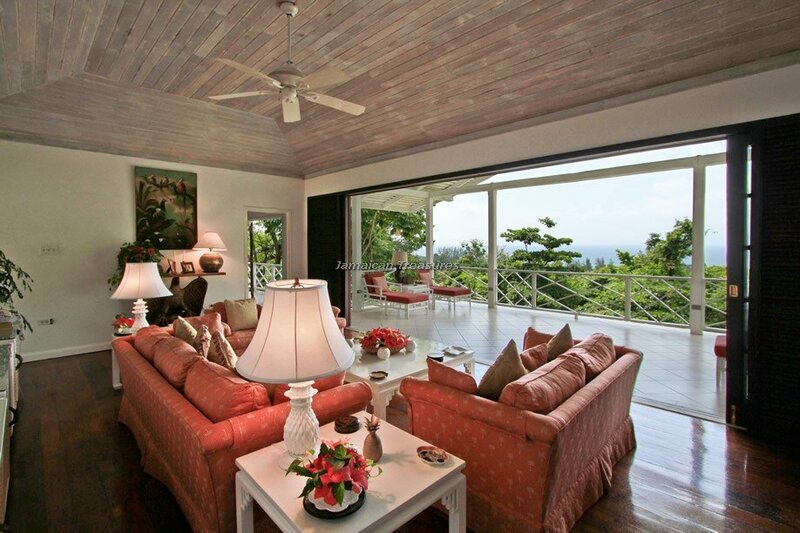 Serenity Villa has a relaxing ambience with an elegant Caribbean style. 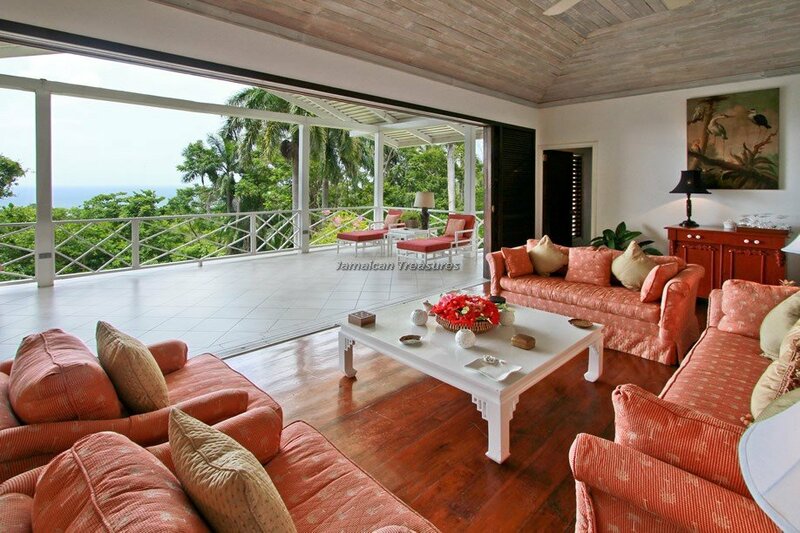 The two spacious living rooms reflect the desire to bring the vibrancy of the outdoors into the villa. 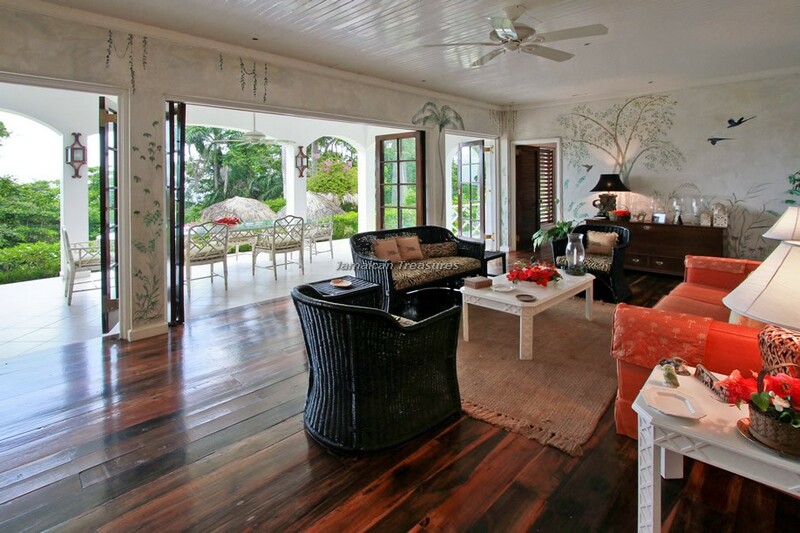 An informal and comfortable sitting room is situated on the ground floor, the décor of which is dominated by a hand painted mural by a celebrated local artist, while the more formal living room on the first floor is appropriate for special occasions. 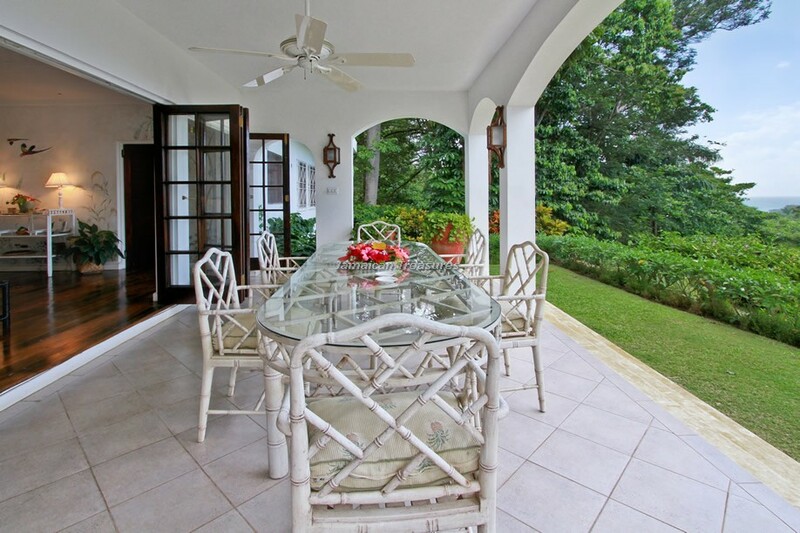 Serenity Villa has two wonderful eating areas, the verandah next to the living room and the lovely garden setting beneath the garden trellis. 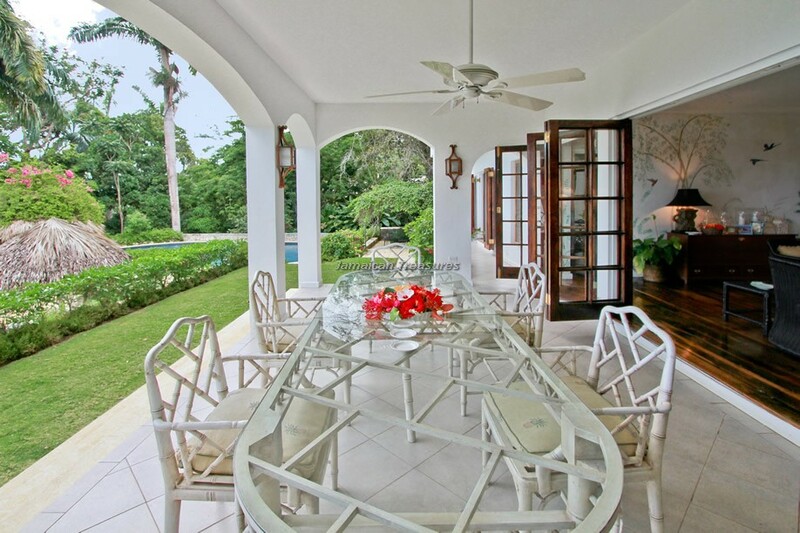 The pool deck can also be used for dining with friends and family. 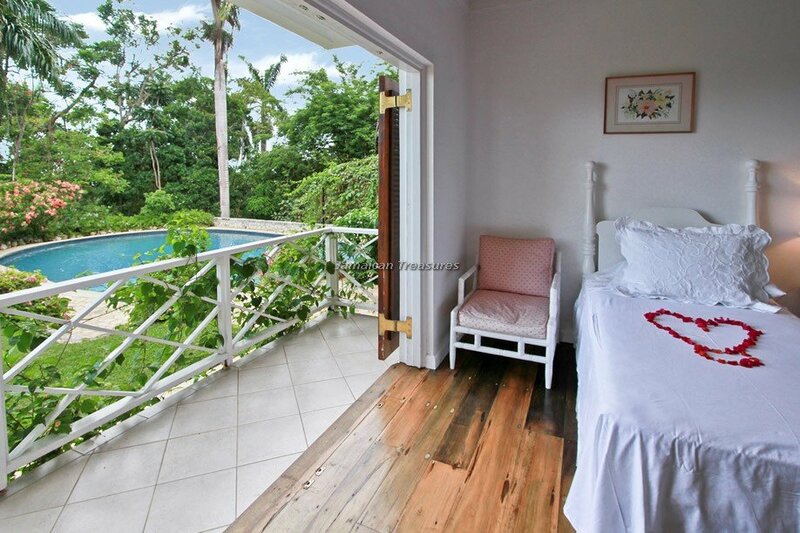 Out of the three bedrooms at Serenity Villa, the first bedroom is located on the ground floor near the pool area, while the second and third bedrooms are on the first floor, adjacent to the formal living room. 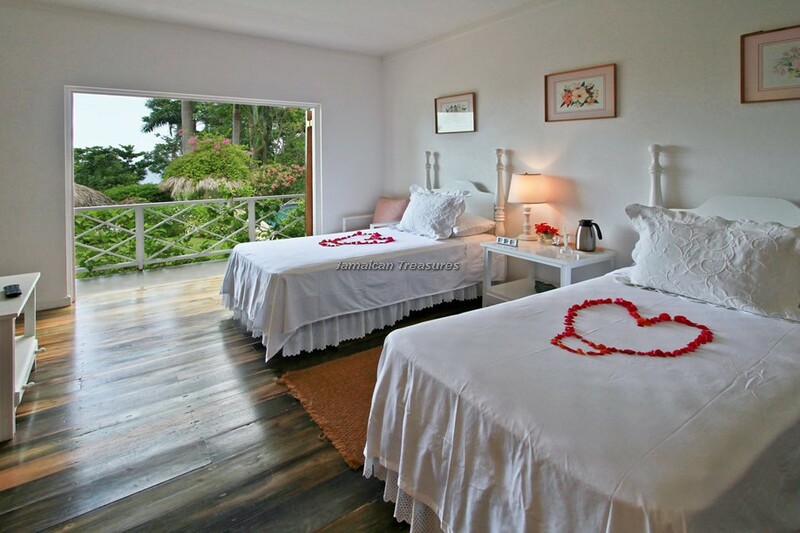 The three bedrooms are furnished with king-sized, queen-sized or twin beds. 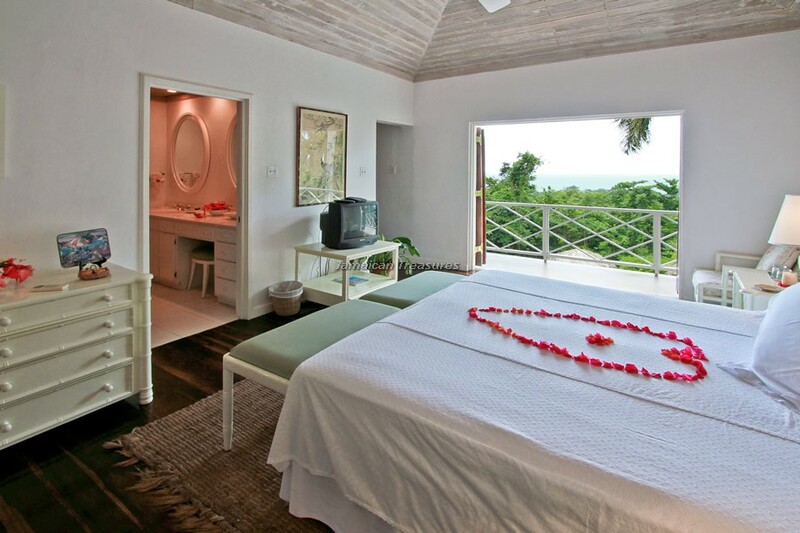 All these bedrooms are air-conditioned and provide beautiful views of the sun-kissed tropical gardens and the ocean waters. 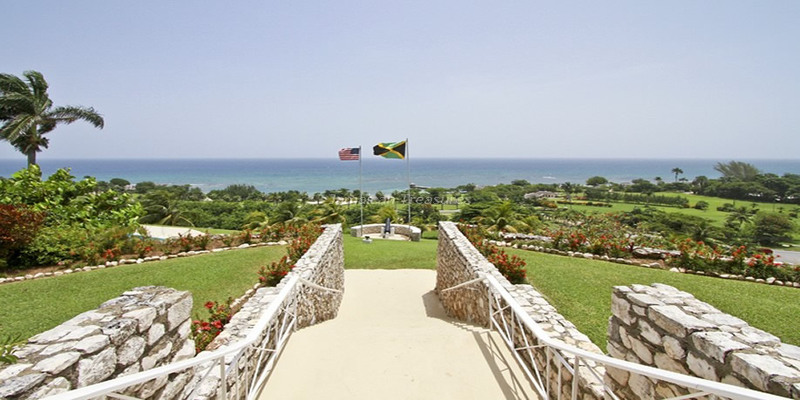 The oval swimming pool has an expansive stone pool deck with magnificent views of the lush green golf course, the lovely gardens and the sparkling blues of the Caribbean Sea. 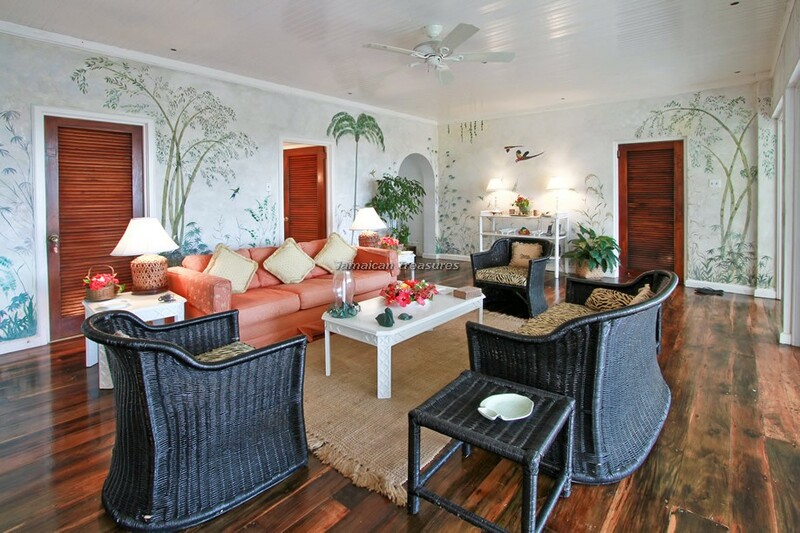 Two thatched huts by the pool area house the lounge chairs in a shaded section. 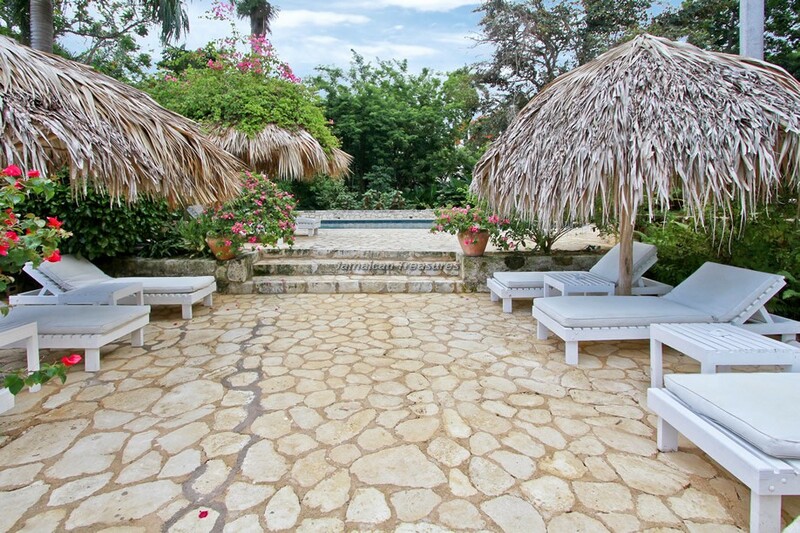 Eight lounge chairs around the pool are perfect for relaxing after a swim or just for lazing around. 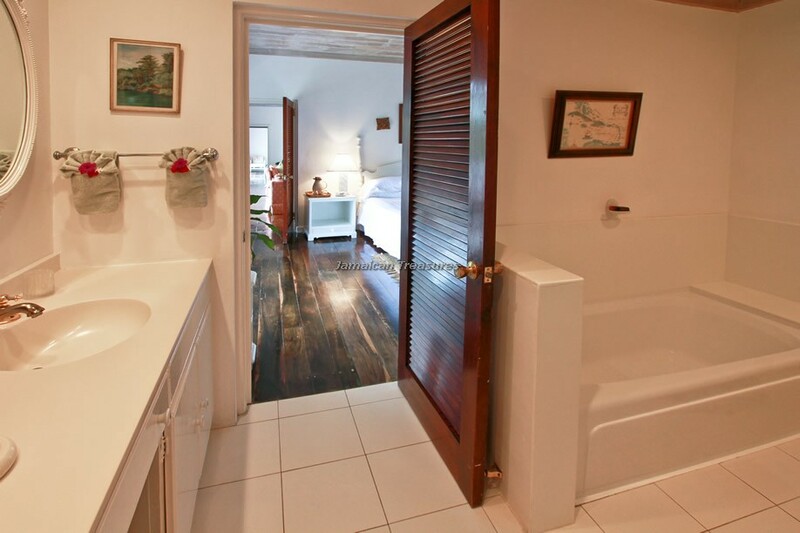 Serenity Villa has an expert staff comprising a chef, housekeeper, gardener and laundress. 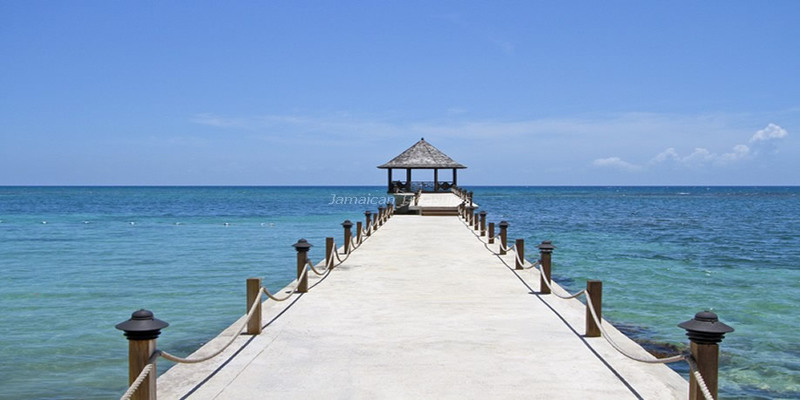 The cook, Johnny, has been at the Jamaica villa for over 30 years. 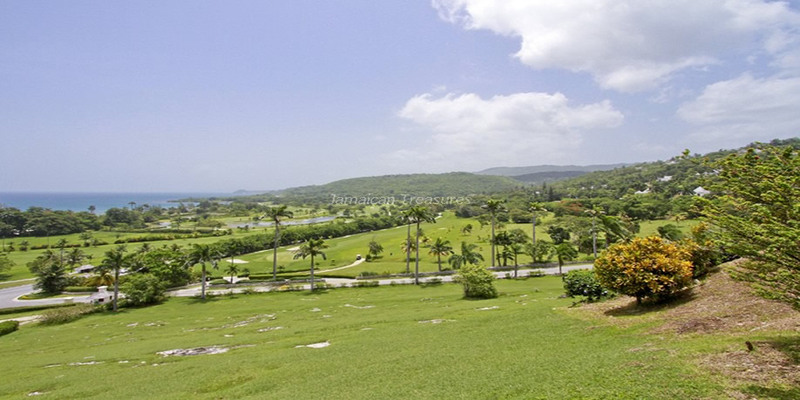 He loves taking guests on a tour to see the fruit trees on the property, including Nasberry, Star apple, Ackee and Mango trees. 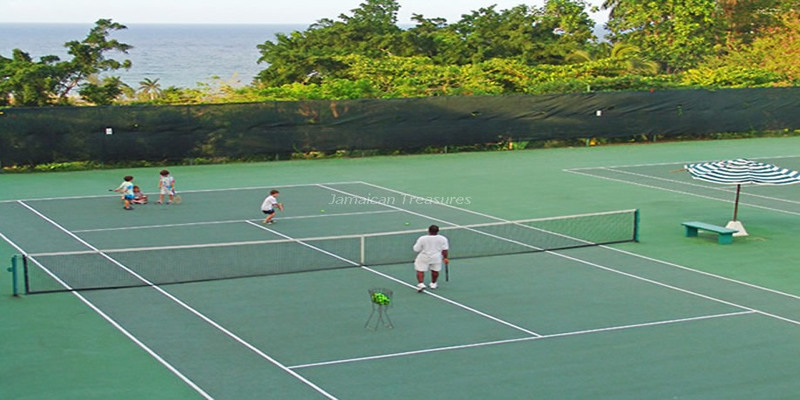 Breakfast made from in-house fresh fruits, the guests’ favorite recipes and Jamaican cuisine, particularly Jamaican style fish, are few of his specialties. 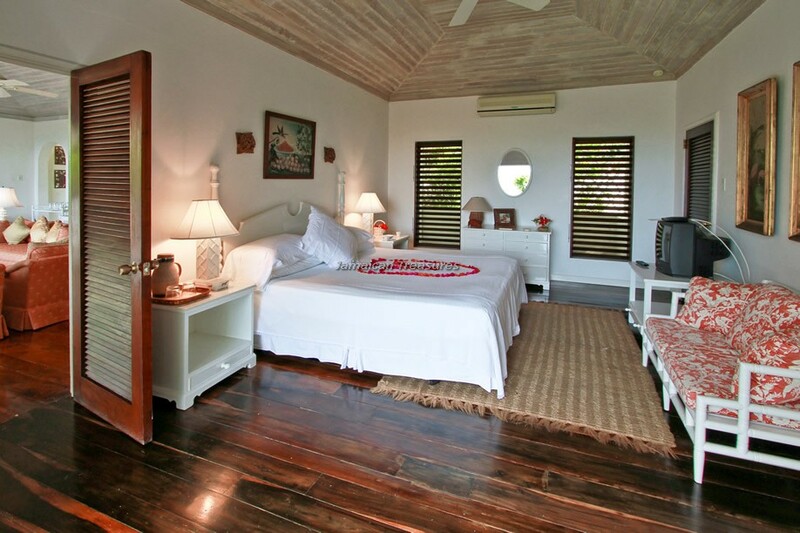 Lorna is the housekeeper and has kept the villa in great shape for 15 years. 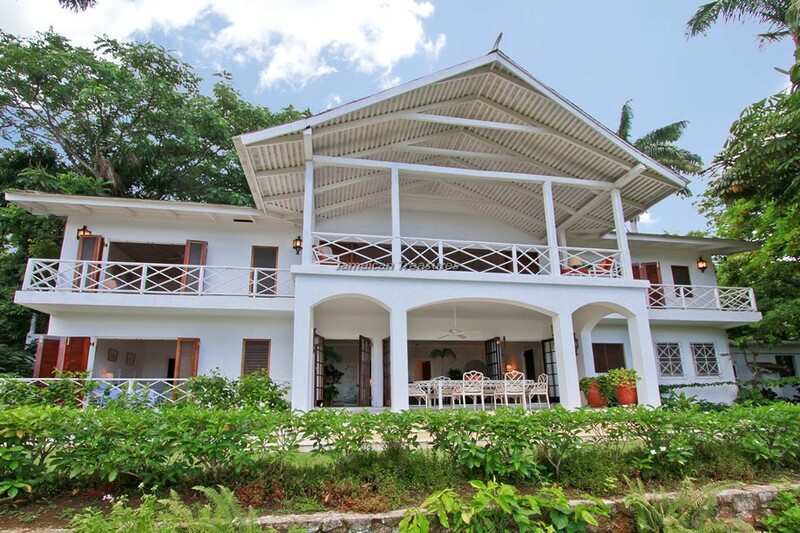 Serenity Villa provides its guests with a complimentary golf cart which will get them to the white sand beach at Tryall in three minutes. 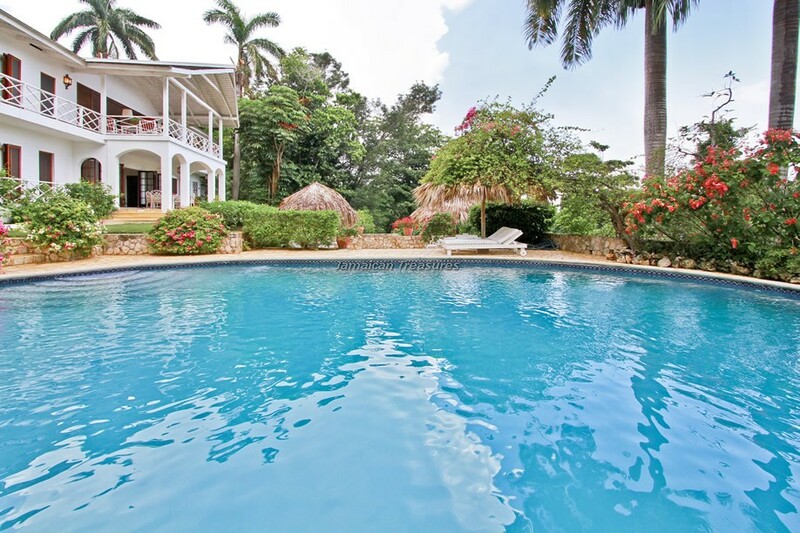 The villa’s proximity to Tryall, the lovely ambience and its numerous facilities, make it one of the most exclusive villa rentals in Jamaica.